ASP.NET Zero's look of UI can be modified in visual settings page. This page is used to modify look of UI both for system and personal user accounts. 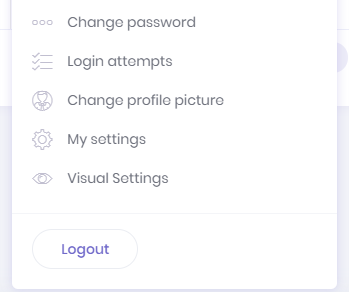 If a user doesn't have permission to see this page, then user will see an item named "Visual Settings" in his personal menu. Users who have permission to see this page will see the same item in the application menu. In this page, users can change visual settings for Layout, Header, Menu and Footer of the application.